Let us take you on a journey into a little tropic paradise, to palm- and bananatrees, to trickling waterfalls and the colourful flourish of exotic butterflies from South America, Africa and Asia. 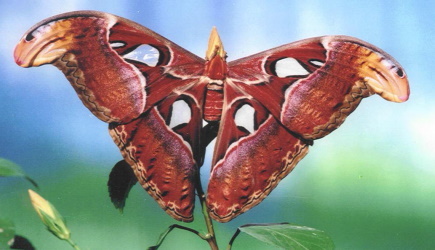 Discover the Chinese Atlas-moth, whose wing span measures about 25 cm, as it sleeps away the day undisturbed by the bustle around him. Or the blue Morpho of Brazil, floating through the air majestically. In a second pavilion, the “caterpillar house”, you can find tiny butterfly eggs, hungrily munching caterpillars and expertly camouflaged cocoons. The little Chinese Dwarf quails, whose chicks are barely larger than a bumble bee, the turtles diving into the water and the mysterious iguana are a constant source of delight to our visitors. Our small insectarium is home to tarantulas, snakes and other exotic pets. 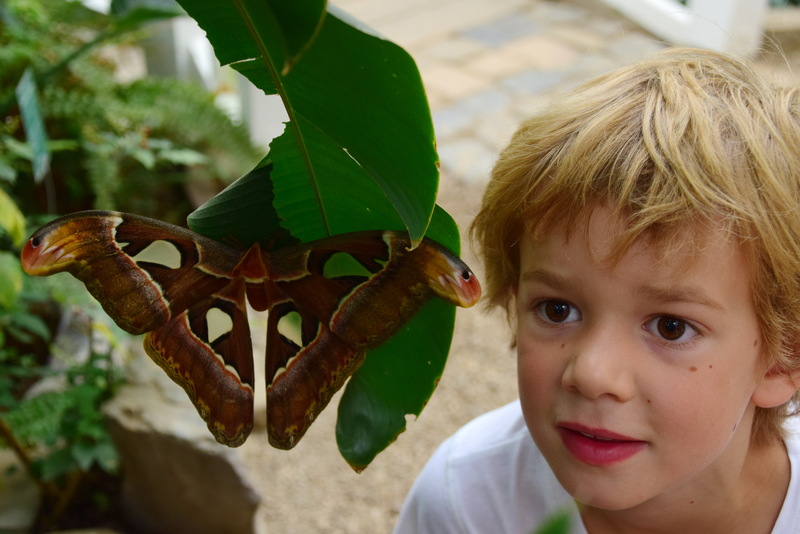 No matter what the weather, the daytime, if spring, summer or autumn, the Butterfly Garden is always an experience for our visitors young and old, a paradise for nature-lovers and hobby photographers. Come along and join us on a walk around this unique attraction! 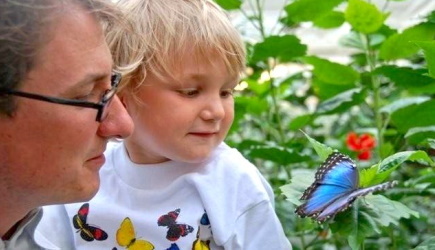 New: Here you find a print-out-guide for the Butterfly Garden!